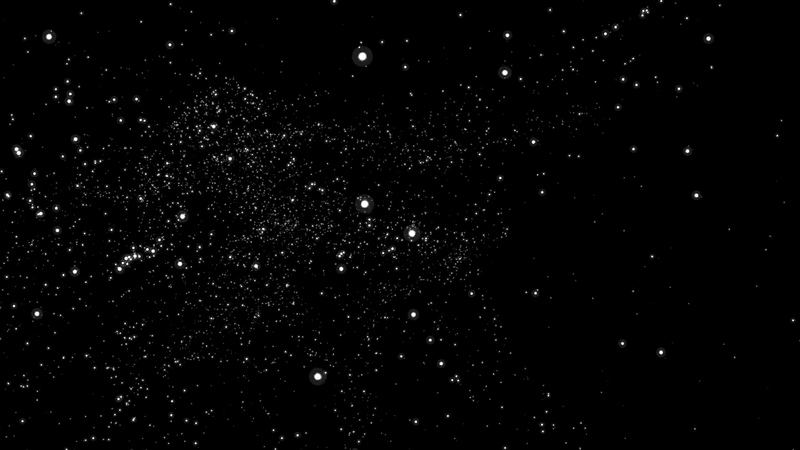 Endless generative flight through a field of stars inspired by my partnership in Deep Space Coffee. 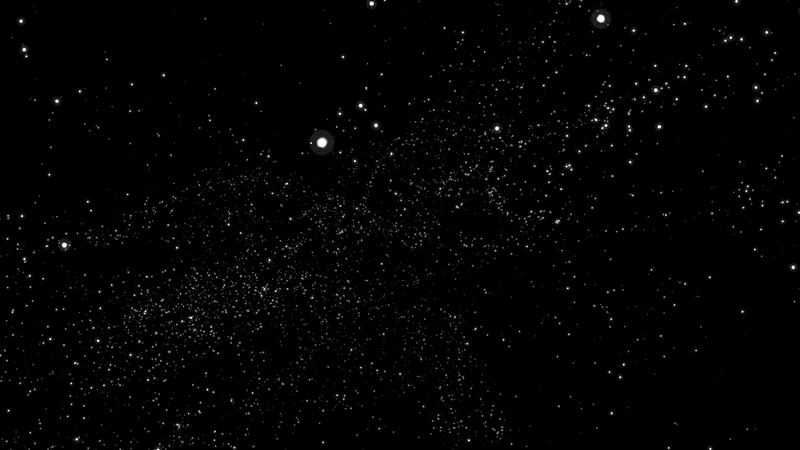 Flying through a field of stars was one of the first great computer programs I remember as a child. Breaking through the third dimension felt great. It was often implemented in the form of screensavers or animation demonstrations. You could sit and watch it for hours. I am revisiting this old program with the power of contemporary computational processing. There are 5000 stars at any given moment. 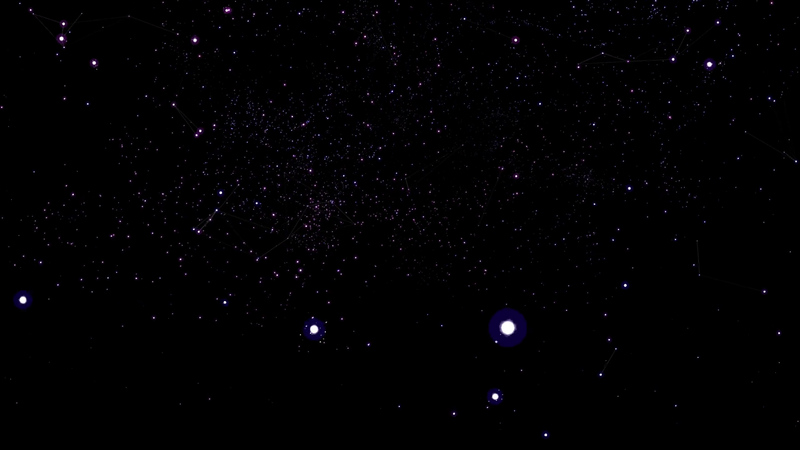 Stars near the camera are rendered with additional detail including an atmosphere and an orbiting sub system of planets. 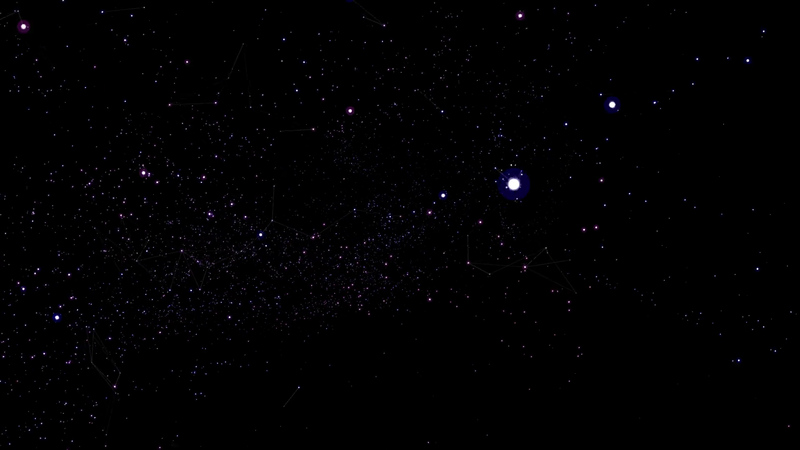 A wandering Perlin noise generator determines the placement of new stars. 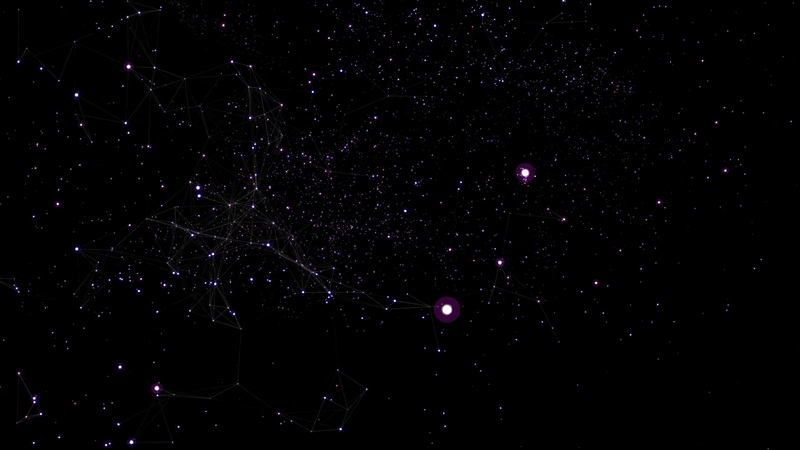 For fun, random lines are rendered between larger stars, forming spatial constellations.